Alcatel-Lucent 7368 ISAM residential gateway works with both VDSL2 and g.Fast. Broadband operators are already offering gigabit speeds over fiber, but the development of new technologies will help make super fast broadband networks more common during the next couple of years. STMicroelectronics (ST) this week announced its DOCSIS 3.1 chipset, code-named Barcelona, which goes into home cable modems and gateways. DOCSIS 3.1 will enable higher speeds at a larger scale and more cost effectively, which could help convince cable companies to roll out faster networks. It's difficult to predict what speeds users will end up getting, but the maximum capacity is 10G bps downstream and 1G bps upstream. Barcelona, or STiD325, is currently available in small numbers to some of ST's larger customers, according to the company, which didn't say when the first products based on it would arrive. However, Comcast revealed two weeks ago it would at least start testing DOCSIS 3.1 during the fourth quarter. Company CEO Brian Roberts said the technology "will be a quantum leap forward" during its second-quarter earnings conference call. 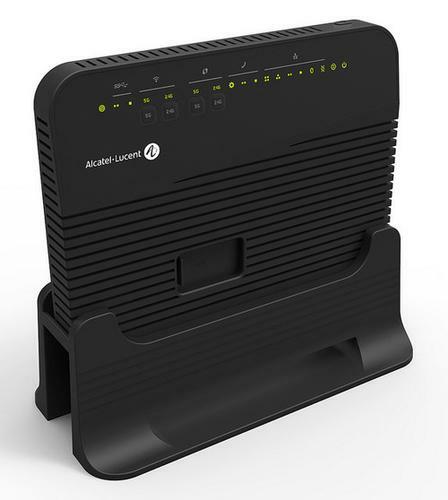 This week, competing chipmaker Broadcom also announced a gateway reference design it said makes it easier for cable operators to roll out fiber to users' homes without having to upgrade their existing infrastructure. Chipmakers release reference designs to show how their components can be used and in the process make it easier to develop products based on them. Both ST and Broadcom demonstrated their products at the CableLabs Summer Conference in Keystone, Colorado. At the same time, work is progressing on a technology called G.fast, which will allow telecom operators to offer gigabit speeds or at least several hundred megabit per second over copper networks. To lower the bar for rolling out that technology, chipmaker Sckipio Technologies recently announced reference designs for supporting G.fast modems inside an SFP (small form-factor pluggable) module. The growing momentum around G.fast was highlighted on Thursday when Qualcomm acquired Ikanos Communications, which has been a key figure in the development of the technology. In Europe, British Telecom, Telekom Austria and Swisscom are all testing G.fast. The latter two plan to launch commercial services next year. BT has said it will launch its services either next year or in 2017. Ikanos has also tested the technology with operators in Japan and Korea. G.fast and DOCSIS 3.1 use a mixture of copper or coaxial cable and fiber to connect users. Fiber is used as far as possible, and the other two cable types take over for the last bit to the subscriber. Ultimately, it doesn't really matter what cables are used as long as the performance doesn't disappoint, and it seems G.fast and DOCSIS 3.1 can deliver speeds that meet expectations.